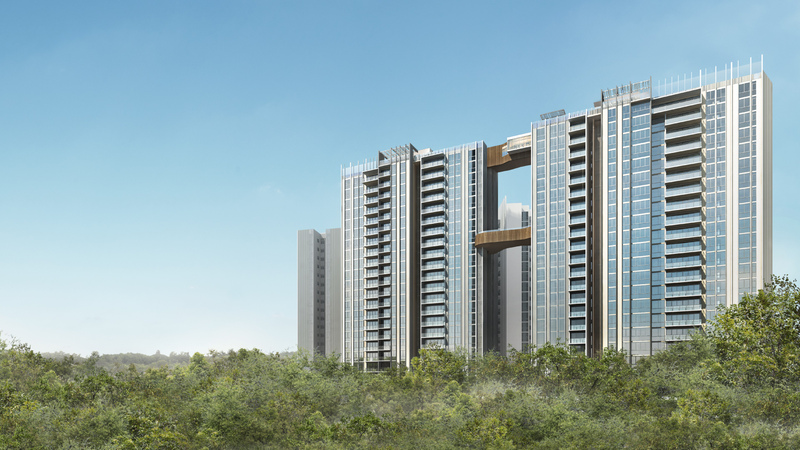 THE PANORAMA has Six distinctive towers thoughtfully designed to offer spectacular views, with an inner sanctum of lush landscaping interwoven with a myriad of amenities and facilities. These unite to define the design genesis of The Panorama. THE PANORAMA architecture is modern and refreshing. THE PANORAMA grand entrance surrounded by lush gardens and water features are the first welcomes. The sprawling central green with wide open space promises boundless enjoyment for the young and old. Lofty double-volume lift lobbies extend the luxurious sense of arrival upon returning home. THE PANORAMA Sky parks, cantilevered between two pairs of towers, form large communal decks where residents can relish breathtaking views while enjoying a rooftop party or working out in the gym. The Panorama enjoy the conveniences being near to AMK Hub, Junction 8 and a myriad of neighborhood shops to meet all your lifestyle needs. The Panorama easy connection to the CBD and rest of the island with excellent transportation network and the future Mayflower MRT Station within walking distance. The Panorama within 1 km of the prestigious CHIJ St. Nicholas Girls’ School, and many more established educational institutions. End your day with a scenic stroll in the nearby Lower Peirce Reservoir and Bishan Park.